June 15th, 2003, I arrived in California for a week and called my brother Patrick who, on learning that I would be around more than a couple days, blinked and uttered, "Oh! We can go do Sonora or something!" Patrick is training for the 2003 Death Ride and he needs mountain centuries in his legs. He also knows I will accompany him up any steep route he has in mind. The evening of Thursday, June 19 saw the two of us drive East up into the mountains to Donelle Point Overlook where we would sleep overnight in Pat's truck before tackling Sonora Pass the next day. The route we would take was Pat's out and back to Bridgeport taking in both sides of Sonora pass (map). The links to the right chronicle our exploits in words and pictures. All photos: Patrick and Timothy McCarthy. 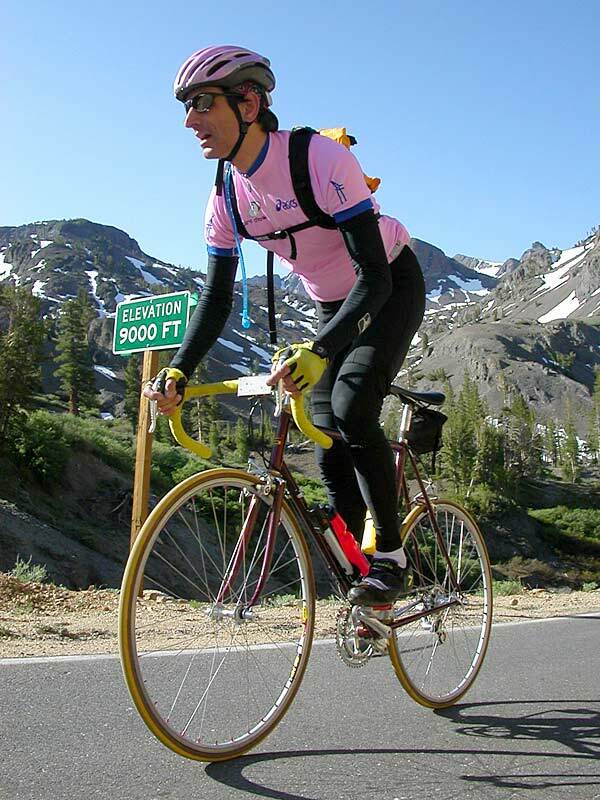 There's more: check out Sonora Pass, 2001.